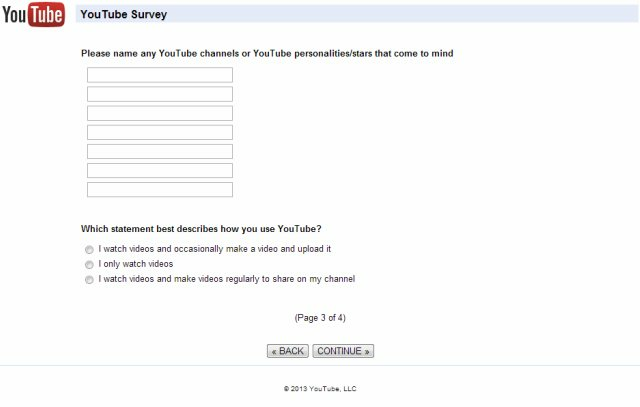 YouTube Taking Another Step Towards Paid Subscriptions? YouTube has recently been reported to be launching paid subscriptions which was essentially confirmed while reviewing YouTube's updated Android application code. In addition, Google is rumored to be working on a streaming music service which may offer you the ability to purchase a subscription via YouTube for songs (audio only) and music videos. 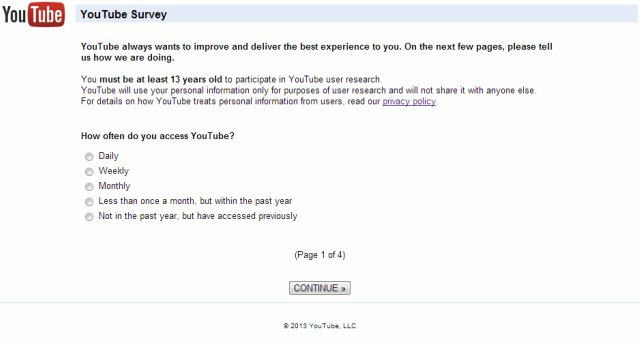 In my opinion, a YouTube survey sent out by email today is another indication of an impending subscription purchase plan. The timing and questions seem to point towards a premium service while the answers may help them decide on the launch channels. What do you think? Below are the questions (slightly modified/shortened, please see images for exact content and setup). YouTube always wants to improve and deliver the best experience to you. On the next few pages, please tell us how we are doing. 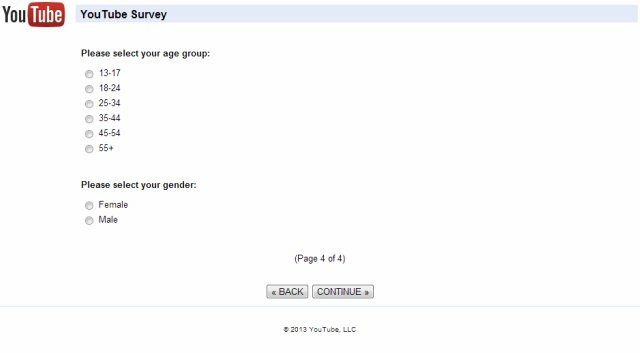 How often do you access YouTube? 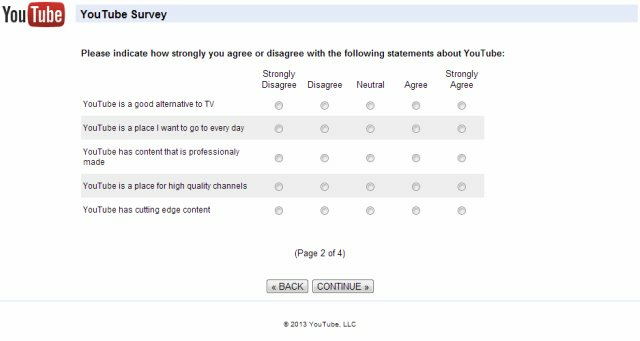 Which statement best describes how you use YouTube?